Do you live in the moment? Are you appreciating the first time being published as a writer and/or illustrator (or the second, third or.....)? A friend asked me to pick up a couple of copies of my book (MY book) for her as she couldn’t get to the book store. At literally two minutes to closing I ran into Children’s Book World, rushed to the desk and breathlessly asked where (MY) book was. I purchased it and ran out. Hey…..wait a minute…. So….! My conclusion is I am savoring the moment. I am appreciating this grand journey and acting perfectly foolish about the whole thing. Hurrah! For you stoic (and curious) dummy makers, here’s the finish of the board-book-style dummy! Measure height of book – it should be 5 ½”! This is height of cover. Starting from right hand edge of 11” strip, GLOSSY SIDE UP, measure width of front + ¼” and score* vertically. From score line, continue measuring to the left an amount equal to the width of the spine and score** again. This is the Cover Spine. Note that this area will NOT be glued to book block spine! Repeat last step. Measure to the left the same distance (width of spine) and score*** again. This, plus Cover Spine strip will form a Hinge. The Hinge strip will also NOT be glued down, although it will form part of the Back Cover. Leave the remainder of the 11” strip intact. Cut it after cover is attached, just to be safe, in case of mis-measurement. It’s a good idea to glue another strip of Tyvek to the inside (non-glossy side) of the Cover Spine/Hinge area, to reinforce it. Match fold to spine edge of block! It will slightly overlap the open edge. 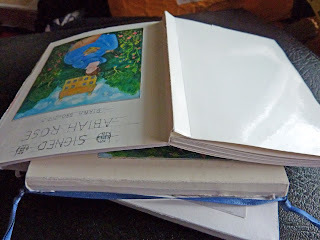 Apply glue to book block page, not cover, so the overlap edge isn’t sticky. Glue Front Cover only! 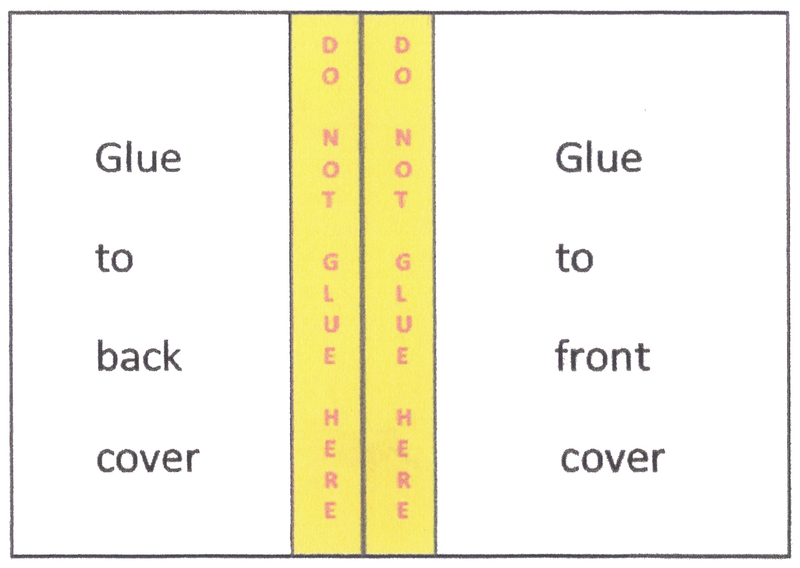 Do not glue spine! Fold 2nd score line** around spine – Do Not Glue! Fold 3rd score line*** backward. OK, fold it in the other direction from the other folds. You’ll see what I mean in a minute. 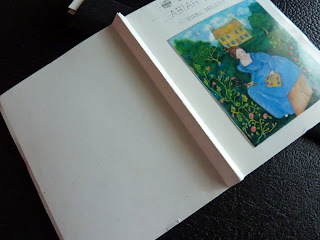 Wrap the cover around the book block. Measure the back cover overlap to match the front cover overlap. Should be about ¼”. But if block got skewed somehow, just measure it to look good. Balance it! Make it look like it matches! Trim off excess. 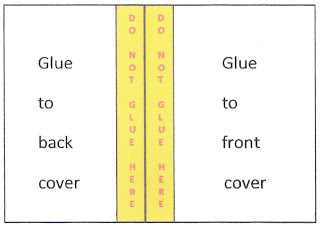 DO NOT GLUE ANY PART OF THE SPINE OR HINGE AREA to any part of the book block. 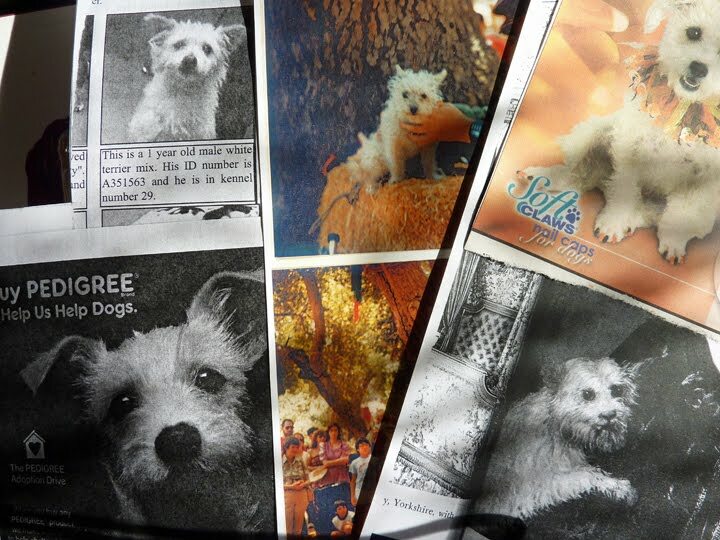 Copy your cover image/text on glossy paper and cut and paste it onto the cover! Now I not only have a greater respect for those who write instructions, but also have the utmost admiration for those of you who have followed along! It's easier to make the dummy than to try to explain making it! I hope these directions will be helpful. Happy dummy making! Today my sister Barbara continues her description of dummy making! This simpler-than-Coptic-stitch, more-complex-than-fold-and-staple picture book dummy is modeled after the sturdier board book. I now have a greater respect for the people who write how-to instructions. It’s not easy to be clear! To repeat, this dummy is low-tech, aside from the copy machine. For my version you’ll need copier, copy paper and card stock plus a sheet or two of glossy color-photo-type paper (all 8 ½" x 11"), bone folder (to make sharp folds), glue stick, ruler and scissors. And the art/text for your dummy. You’ll end up with a durable book that opens out roughly flat and is about 4 ½” wide by 5 ½” tall (which you could convert to horizontal layout 5 ½” wide by 4 ½” tall). Copy each page, reducing by 50%. Fold each of these paired pages in half vertically – crisply! with a bone folder, if you have one. Now you begin to assemble. Get out the glue, and glue the back of page 1 to the back of page 2, the back of page 3 to the back of page 4, etc. Make sure folds are crisp! I usually do 4-5 sheets at a time to make mini-blocks, and then join the blocks together (check the page order!) It’s easier to prevent skewing the alignment this way. 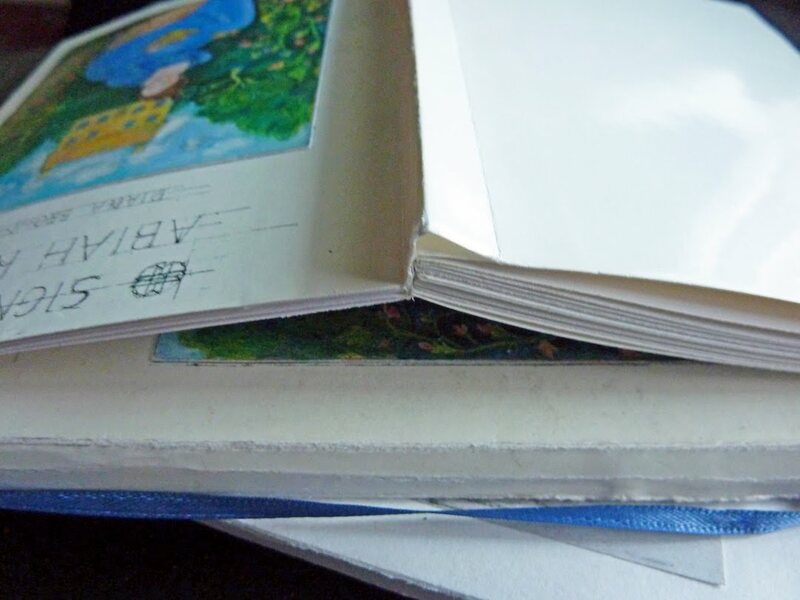 Once the numbered pages are assembled, add blank pages front and back to make end papers. OK, I don’t know about the rest of you, but I’m tired! Want to finish this tomorrow? Today and tomorrow my guest is my sister, Barbara, who also happens to be my critique partner and tech support. She is also an avid bookbinder who has utilized a couple of binding methods for dummies I’ve created over the last few years. She has agreed to describe her process for one of them. There are many, many ways to assemble a book dummy, from the professionally hard-cover-bound to the simple fold-and-staple. I’ve sort of settled on a mid-range version. One day while Diane toured the children’s book section at Vroman’s I found myself examining a rack of board books. 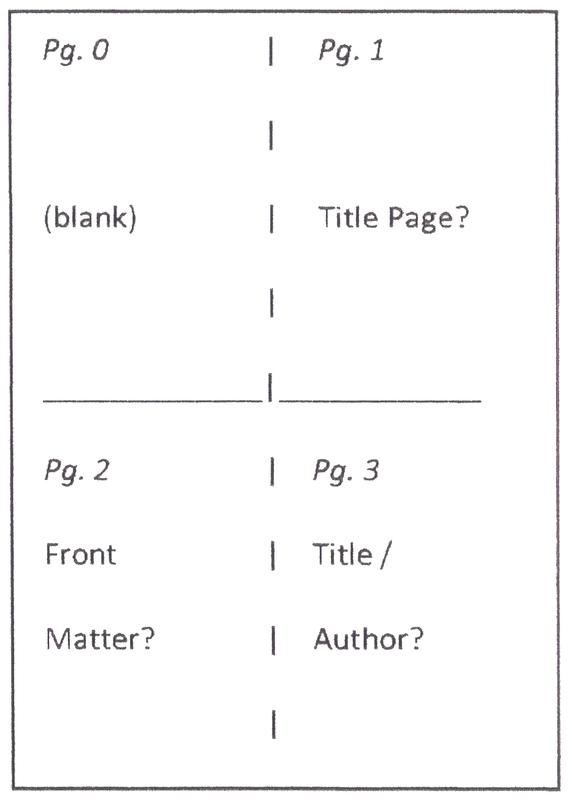 Since my own writing has been geared to the younger ‘reader’ I thought I’d check out board book structure, something like the way Diane analyzes picture books. Anyway, I counted the ‘boards’ in a couple of books and noticed that the boards are glued to one another back-to-back and then….wow, look at that neat cover assembly. You see, at present my real book passion is book making. Hand making books. Sewing, cutting, pasting. And it turns out board book assembly solves the problem of page order. No more complex fold and gather type layouts for copying at Kinko’s. 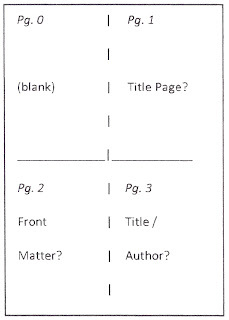 No more questions like “If page 32 is photocopied on the left and page 1 is on the right, what page do you put opposite page 14?” so that when they’re folded in together they read 1-2-3 ….. 30-31-32. My earlier dummy-making had been open-spine Coptic stitch multiple-signature …… you get the idea. This is lots simpler. While studying board books led to quicker dummy making, it turns out that writing clear (to anyone but myself) directions for making said dummy is a bit hard. So give me a little more time to work on it and check back tomorrow for the ‘how-to’. It’s low-tech, aside from the copy machine. For my version you’ll need copier, copy paper and card stock plus a sheet or two of glossy color-photo-type paper (all 8 ½ x 11), a bone folder (to make sharp folds), glue stick, ruler and scissors. And pencil. And the art/text for your dummy. I love to know how other illustrators start work on a project. I know there are many ways to approach the task. This is mine. At present I am making a dummy for a manuscript I have written. I’ve already visualized the illustrations in my mind. I have thought a great deal about the project, gathered reference scrap, my own photos, reference books and even magazine pictures – anything that inspires me. I have organized them into file folders, labeled by character or composition ideas or by a specific illustration I have in mind. At this point I sometimes do character studies to make sure the characters are recognizable each time they’re drawn. 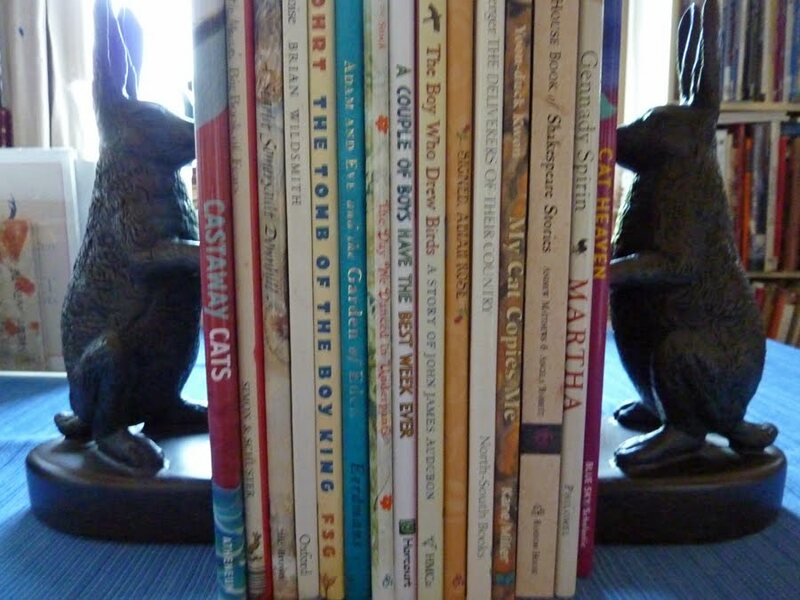 I then look at my collection of picture books and try to analyze if my illustrations and text would best be suited to a vertical or horizontal format. Are the pictures sweeping across the page? Do they need space? Is it an intimate, cozy story that should be a small format? I think the manuscripts tell you how they want to be depicted. When I’m ready to progress to the dummy stage, I divide the manuscript in page breaks that keeps the right pace within 32 pages. I’m ready to do thumbnail storyboards next, to get an overview of the layout. I pay special attention to the scale of the illustrations, the flow from one picture to the next. I try to vary the complexity of the design. Pictures need to show progression and movement. ...and back to the drawing board! I do preliminaries on tracing paper because you can check the back for the accuracy of your drawing. Another way to check for accuracy is looking at the artwork in the mirror – it’s a great way to see what’s wrong. This was one of my artist mother’s first and best tips. I cut up the text to fit the pictures and continue changing and reworking the dummy until it looks like a small facsimile of the book I have envisioned. The words and pictures work together. They must complement each other. The pictures that face one another must work together! They must complement each other. Plan colors carefully – they convey mood. Watch the gutters! Keep details out of that area. Always include extra surprises or interesting details not in the text. The word illustration comes from the Latin, and means to light up or illuminate – that’s what we’re trying to do! 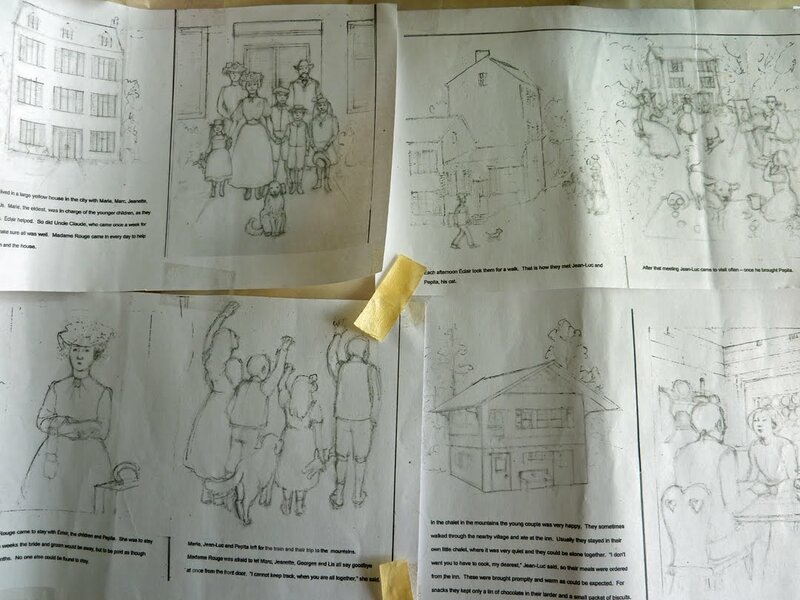 I have to get back to illustrating – I haven’t had illustrator’s block, I’ve just been busy with book promotion. I’m eager to get back to the work. I did some painting last month, but this is a different process. It’s complex, and involves submerging in a whole new world. The world of my manuscript. I’d love to know if anyone has favorite tips or examples of how they get the job done! I came down from Blog Tour ‘high’ this weekend by attending the Southern California Genealogical Society’s annual Jamboree. 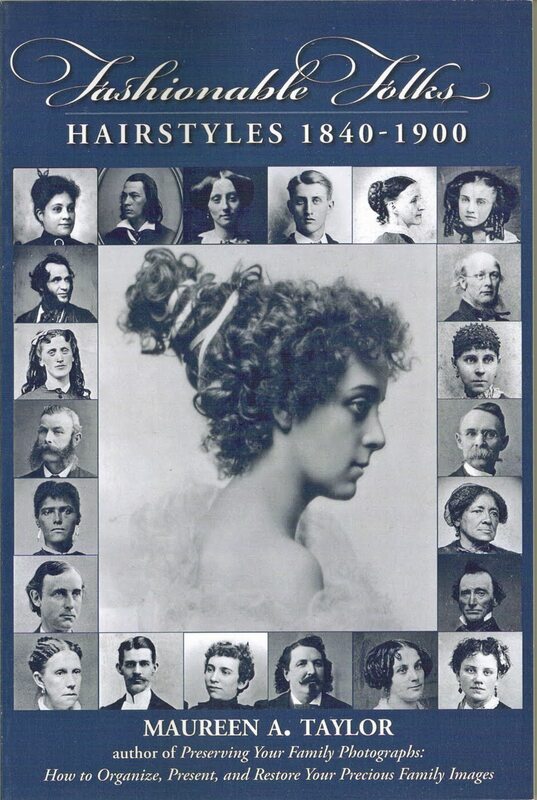 The wide variety of lectures went from blogging (!) 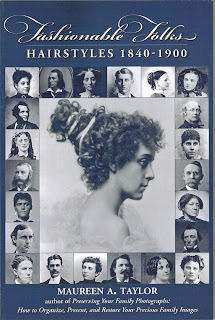 to viewing distant terrains to library catalog research to hair styles down through history to laying out lifetime timelines. Lecture after lecture my mind went skittering off beyond my ancestors’ dusty, papery pasts to all the stories I could imagine, research, promote, illustrate, plot. A writer/illustrator’s gold mine. Inspiration is where you find it. As one speaker said, “You’re only limited by your imagination.” Mine was working overtime. 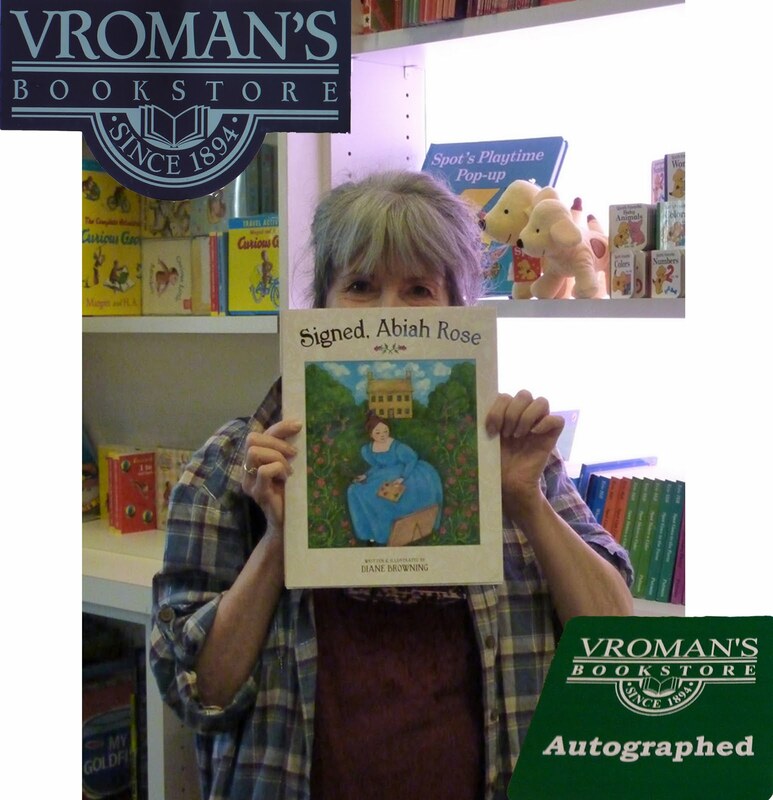 Signed, Abiah Rose Blog Tour Winner -- and a Birthday Salute! 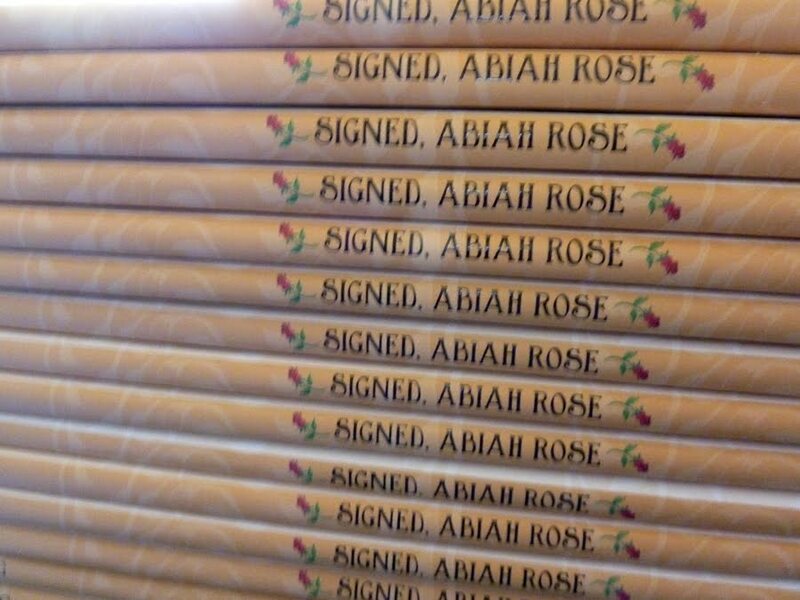 I'm happy to announce the winner of a signed copy of my just-released book, Signed, Abiah Rose. The commenters' names all went into a hat and the name pulled out was......illustrator Carolyn Le! Thank you so much for visiting and for your lovely comments, Carolyn. Today is Flag Day, which for years I celebrated as the birthday of my Siamese cat, Scout, named after the heroine in To Kill a Mockingbird. My Scout was an extremely excellent cat, and much loved. She lived to the ripe old age of 20, and is still greatly missed. 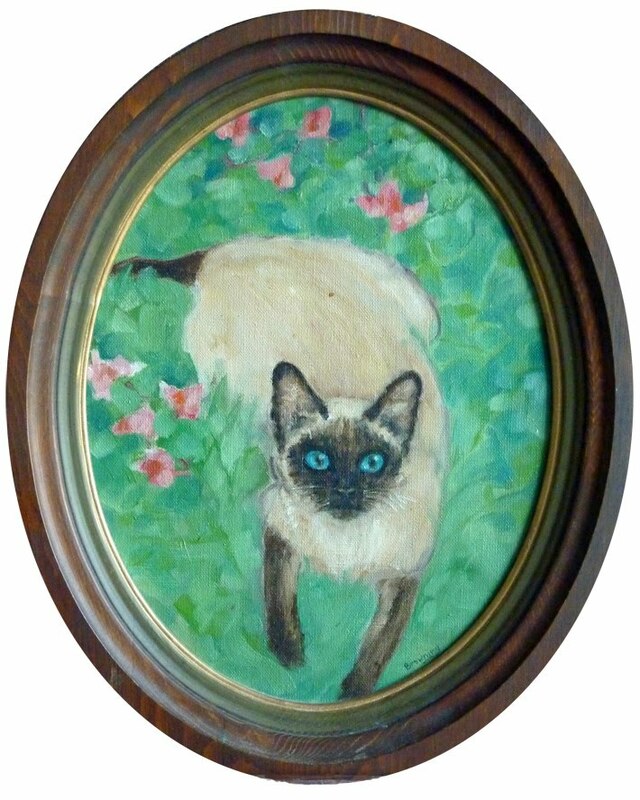 I painted her portrait in her heyday. I'm posting it here in her honor. Happy Flag Day! Signed, Abiah Rose Blog Tour -- and a Big Thank You! Well, the tour is actually over…. I’m sorry about the tantalizing ‘to be announced’ and ‘mystery guest’ – technical difficulties prevented inclusion of the finale tour stop. We’ll do it next time! Being a new author/illustrator and new (non-technical) blogger is such a learning curve! There are so many things to take in, so many things to try, so many rules to bend and break-at-your-peril. Being inexperienced made this a very intense week, with little sleep and lots of attention to lots of details. And lots of nice feedback, and supportive friends and hoping the rough edges don’t show. Or at least don’t stand out. And while the tour was beset with glitches, near disasters and actual mistakes (how did comments get turned off yesterday?!? ), I’ve had fun, and learned a lot, and (virtually) met some very nice people! Thank you all for touring with me! Thank you, Abigail Samoun, for making Abiah a book! And thank you Tina, Megan and Mary for being such great tour hostesses! 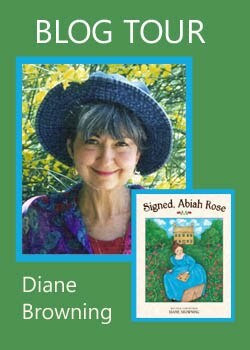 Catherine Linka, hostess extraordinaire of Writer to Writer, has written a review of Signed, Abiah Rose. As her post is flattering to me, it would be unseemly for me to recommend it – so I won’t look while you click over to her blog, Write Minded ……..
No wait a minute! 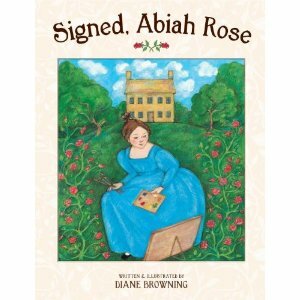 Don't forget to check back Monday for the name-from-a-hat drawing for an autographed copy of Signed, Abiah Rose! At this year’s SCBWI Writers Day Mary Peterson and I sat together in Nancy Sanders’ workshop and learned how blog tours work -- so now I’m very pleased Mary is hosting today’s tour stop. 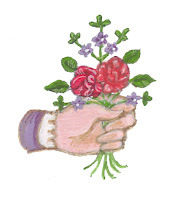 She’s interviewing Signed, Abiah Rose’s illustrator (me, again) at her blog A Beautiful Fish. Doing the illustrations for Abiah was both fun and frightening. I couldn’t wait to get started. I could do this … even though there were so many paintings at once, and that deadline looming. I figured out how many to do a week, and paired up the simple ones with the complex. Finishing them and stacking them up gave me a wonderful sense of accomplishment, but where did the time go? Dozens of cups of green tea and boxes of crackers (caffeine and nervous food) and I was nearing the deadline. I have to admit I begged for a bit more time, and thankfully got it. “Wait! Wait! Just a bit more detail over there”, and “I’m not quite happy with those trees,” I lamented, as my sister (tech support, psychiatrist and mail courier) grabbed illustrations from me and rushed to FedEx, while I kept painting on the next batch. I finished them! All of them. Off to the publishing house! But my perfectionist-self continued to suffer and agonize that I didn’t have just one more day (or two) to keep painting. Wasn’t there time for do-overs? You mean you like them? 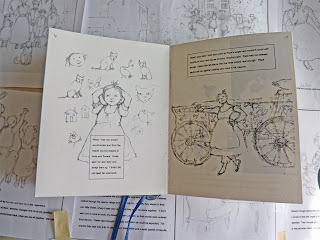 I was never ‘through’ with the illustrations – even today I’d like to make changes. Well one thing, or maybe two, or three, or…..
Friday, if technical problems allow, the tour will include a (for now) mystery guest! If you're just now joining the tour, prior stops include Tina Nichols Coury's Tales From the Rushmore Kid and Megan Frances' On Beyond Words and Pictures. Don't forget to leave a comment at any of the tour stops -- you might win a signed copy of my book! 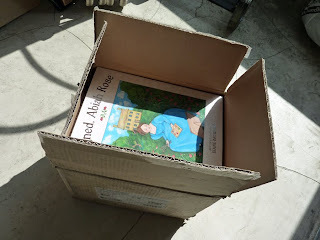 Signed, Abiah Rose Blog Tour -- and I Hit the Editor Jackpot! My good friend and fellow Schmooze-group member, Megan Frances, is interviewing the editor for Signed, Abiah Rose today on her site, On Beyond Words and Pictures. Like most first-time writers I believe I approached working with an editor with a combination of positive emotions and a little trepidation. Surprisingly, there wasn’t much trepidation, perhaps because I had briefly met my editor, Tricycle’s Abigail Samoun, and attended two of her workshops at the SCBWI Summer Conference. As it turned out, working with Abigail was very comfortable. During the editing process she asked thought-provoking, probing questions. These caused me to delve deeper into my own story. Sometimes they challenged me to know ‘why’, or ‘where’ or ‘when,’ not necessarily to change it, but to be sure it was authentic and true. And surprisingly we didn’t, after all, shorten the story; sometimes I felt it was surely getting longer, and definitely getting better. Thanks to Abigail the manuscript became a richer, more polished story. I’ve heard that editing isn’t what it once was, but I have to believe Abigail is an editor of the old-fashioned kind, in the best possible sense of the word. Remember, comments posted here and on the other blogs on the tour make you eligible for a signed copy of the book! Interview with Signed, Abiah Rose author - me! 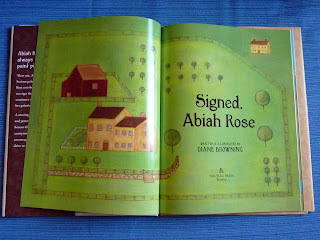 Interview with Signed, Abiah Rose illustrator - me! The blog tour is hosted today by Tina Nichols Coury on her site Tales from the Rushmore Kid. I’m honored she agreed to kick off my blog tour. 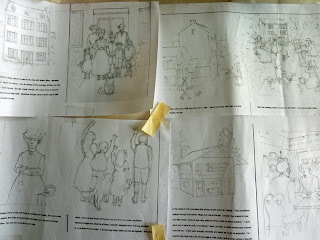 Tina’s interviewing the writer half of me, which brings to mind some thoughts I had while working on my picture book. At SCBWI workshops I have often heard advice about the roles of authors and illustrators and how to not get in each other’s way. These tips apparently apply even if the author and illustrator are the same person. In my case the two kept ignoring each other in their desire to get their own way. My dummy was full of examples of this. Who were all those children who kept popping up? The manuscript only mentioned four. Artist-me wanted to include a baby. Writer-me insisted on including a wagon (several, actually). Wagon wheels are no fun. Writer-me tried to include a Native American that illustrator-me couldn’t find period-appropriate costumes for. Not in detail. Both of me really got annoyed, but we have declared a truce, and we’ve promised to consult each other more next time. By the way, the author of this book failed to anticipate the confusion resulting from 1) predictable mis-pronunciation of the title character’s name and 2) the reading of the title. Abiah is a Biblical name, and is pronounced uh-bye’-uh. When reading the book title out loud, it goes Signed (pause) uh-bye’-uh Rose. Without the pause, it too often sounds like Signed by a Rose…….which, unfortunately, could also be the title. (Read the book – you’ll see.) Writers. They don’t think things through. So it’s time to kick off Signed, Abiah Rose’s virtual book tour. Here again is the schedule for this week. 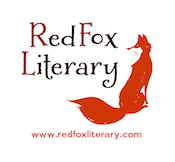 And don’t forget that leaving a comment on any of the host sites (including this one) makes you eligible for the drawing for a signed copy of the book. Hope you’ll come with us on tour….. Tomorrow Tina Nichols Coury will be interviewing me as the author of Abiah, which will then be available in bookstores! Friday, June 11 To be Announced! Today I’m following the lead of blogger Catherine Ryan Howard. She has a post called ‘Things you Can Do When a Box of Your Books Arrives’ which made me laugh out loud. Catherine was right on the mark about first-time-author instincts when your first books arrive in the mail -- I just got mine from Tricycle. Thank you, Catherine! I’m doing what you suggested! What fun! My book is rubbing shoulders with Melissa Sweet and Lisbeth Zwerger! Check out Catherine’s blog (Catherine, Caffeinated). She has LOTS of helpful tips on her site. And don't forget to come on tour! 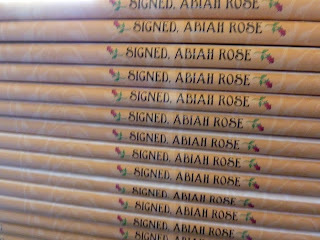 Signed, Abiah Rose Goes on Tour Next Week! 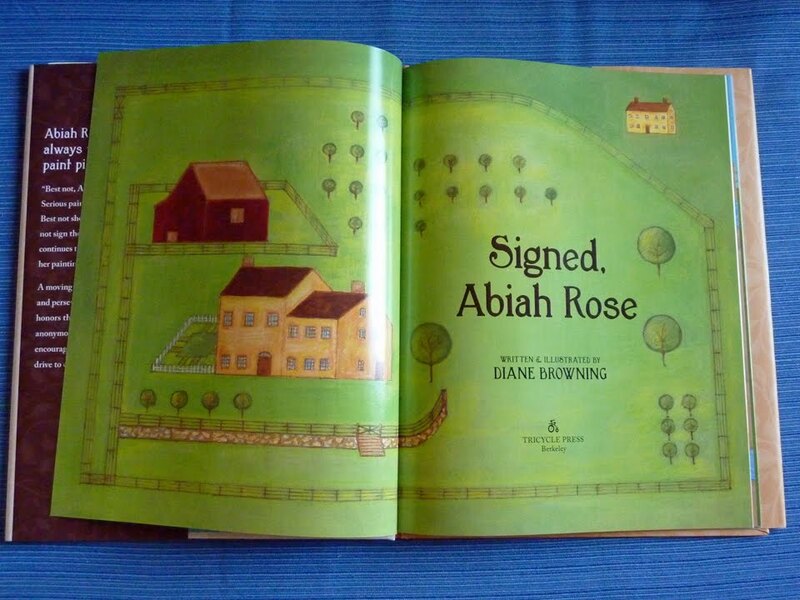 Monday I will be kicking off a virtual book tour for my previously (and often) mentioned first picture book, Signed, Abiah Rose. Because……. Tuesday is the day! It will be officially ‘out’! Stop by Monday, when I will unveil my box of books – you’ll have to wait till Tuesday to get one in a store! No posts last week! This is a very busy time for me – Signed, Abiah Rose is coming out next Tuesday, and I am rushing to get the details in place for my virtual book tour all next week. More details tomorrow. 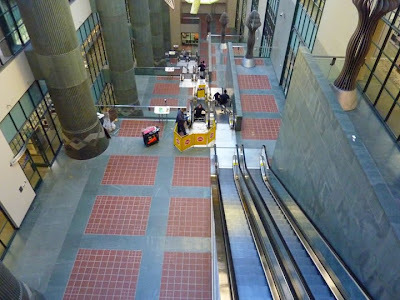 I did find time last week to go to the Downtown Los Angeles Library to do research for a new book dummy and to see an exhibit of some of William Joyce’s book illustrations, drawings and dummies. They're gorgeous, of course – none of those little messy repaired bits or corrections. The original work is even more beautiful than the reproductions! The Downtown LA Library is an old love, and I cried when an arsonist set fire to it several years ago. I’m getting used to the new wing, but the old part is still my favorite. The Children’s Department is off the rotunda on the second floor. The rotunda is a wonder to behold. Dean Cornwell, who designed and painted the murals, was an internationally known illustrator in the 1920's and 30's. 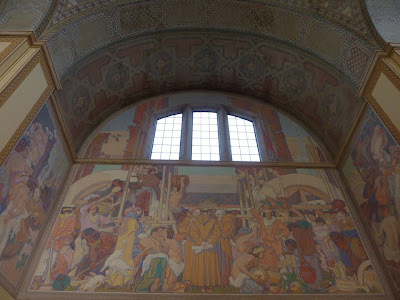 He used soft, muted colors to go with the mosaic-like ceiling. 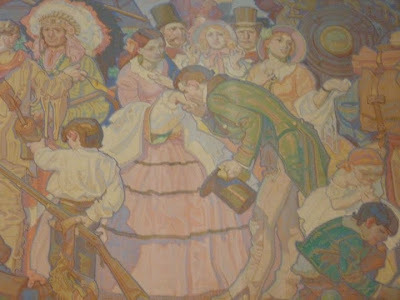 The compositions and details are fun to study, and the figures look like they just stepped out of a storybook. 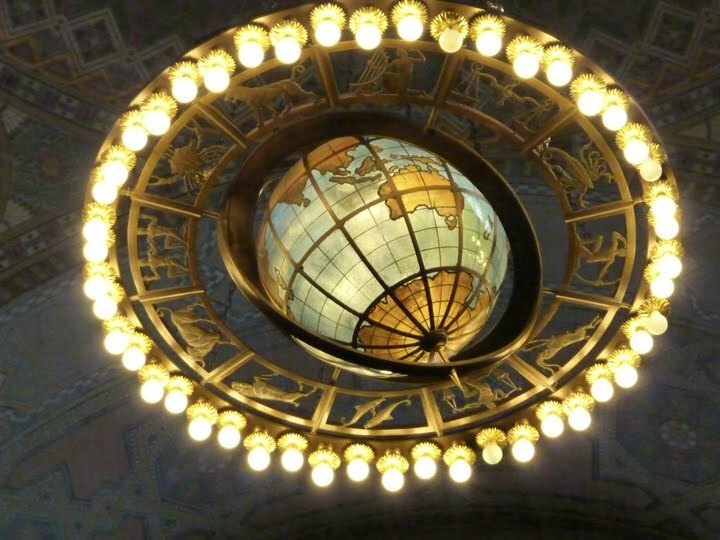 This amazing globe chandelier is made of cast bronze, weighs a ton and is nine feet in diameter! Isn’t it magnificent? Love this! In the new wing the insides of the elevators (and the elevator shafts!) 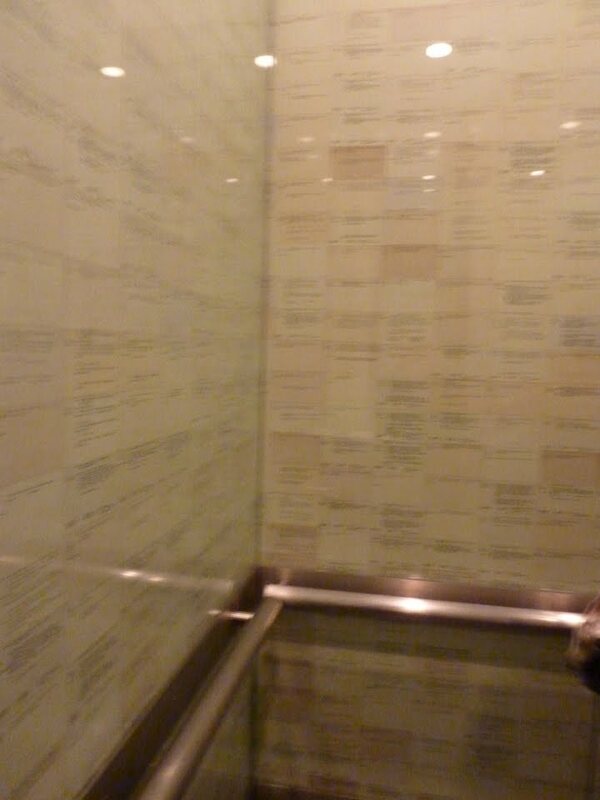 are papered with some of the library’s seven million now-obsolete catalog cards. Personally, I preferred the old system, and miss the cards and drawers, pre-historic though that sounds. This view looking down into the depths of the new wing made me dizzy! Check back tomorrow for my blog tour schedule!